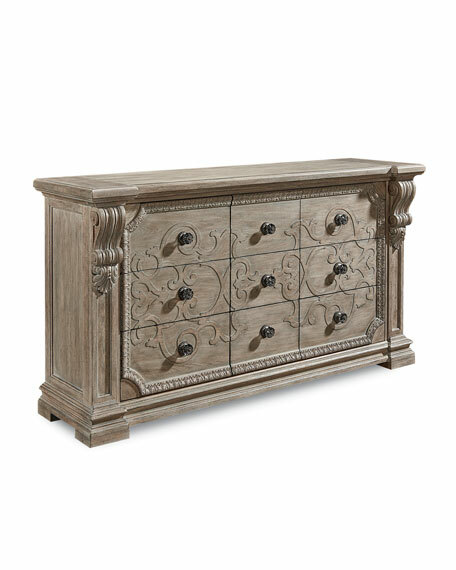 With ornate fretwork overlay, lambs tongue molding and bold carved acanthus leaf corbels on the front pilasters, this dresser recalls the robust Neo-classical architecture of the eighteenth century. 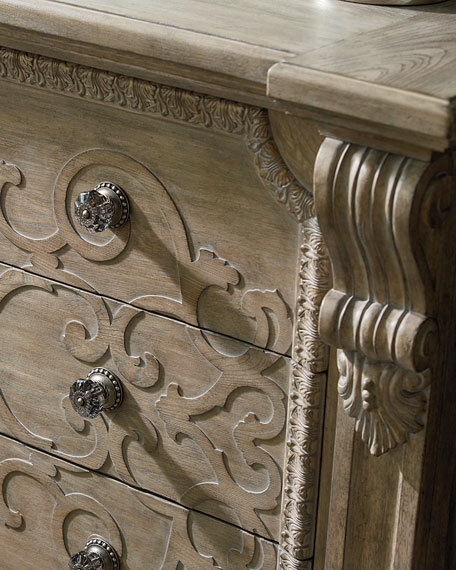 The dresser is constructed of parawood solids and cathedral elm veneers. Parrawood solids and cathedral elm veneers. 76"W x 22"D x 41"T.